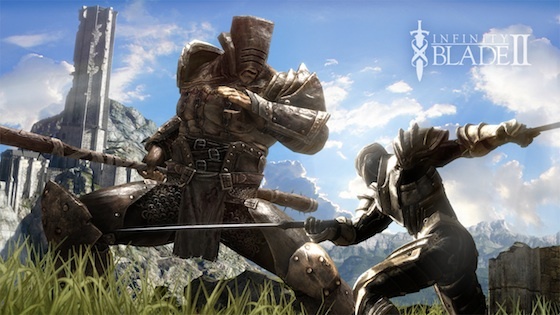 Already one of the most popular games of the year, Infinity Blade II is the sword-slashing follow-up title to the 2010 award winning Infinity Blade. Perfect blocks prevent elemental damage from a Titan attack even if you don’t have the right elemental defense; it also reduces the block damage. To maximize damage with Heavy weapons make sure you plan to do the combo hit at the natural end of the hit window, as the slash attack always ends the hit window.